Initially in the SSIS packages which were developed, I used a lot of Execute SQL Tasks which had calls to stored procedures. Then there were business changes I had different data sources to pull the data from. This led me to use different Data Flow Transformations in the Data Flow Task. 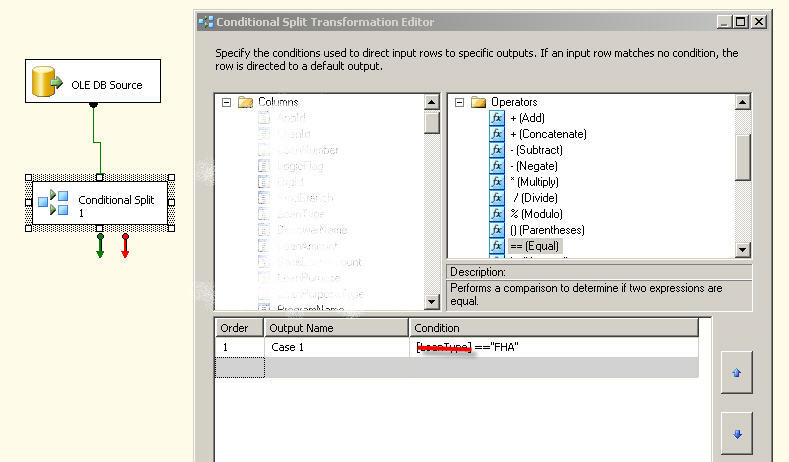 One of them i used was the Conditional Split transformation. 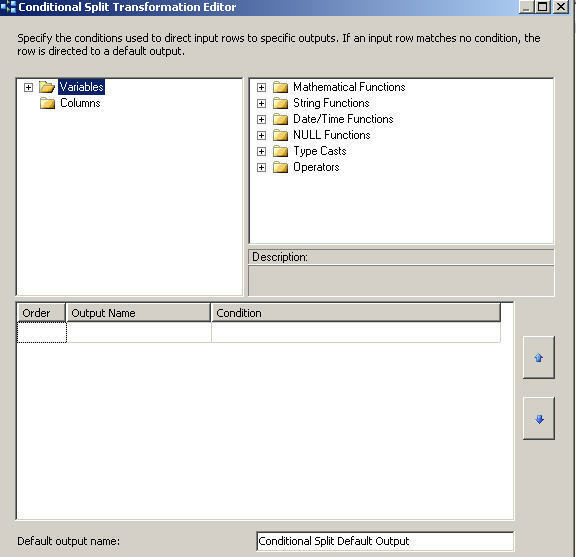 This transformation can be used to go through a dataset row by row and perform checking on different columns and create different output paths. In my Data flow, I had data coming from a sql server table, the data had 5 columns. Based on the CustomerType column I had to direct the output to different data sources, In my case i had to create 2 different text files as outputs. 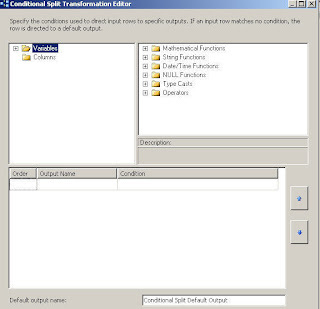 When you right click on the conditional split task and click edit, the Conditional Split Transformation editor opens up. In this editor one can create Different ouput streams and give the conditions for each output, also there is a default ouput name. 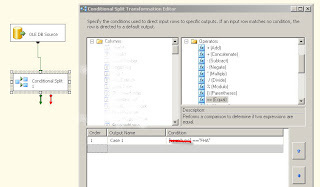 The conditional split editor provides different functions which can be used in conditions. Data Transformations tools provide neat ways of performing transfomations but at the same time one has to test the performance of these tasks before deploying to production.